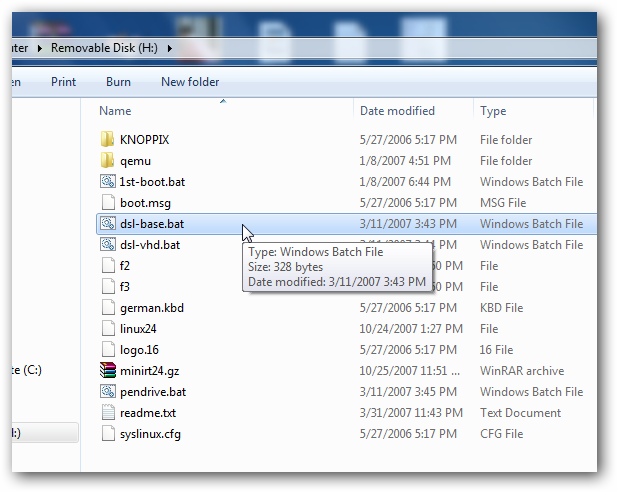 Run Linux on Windows PC Without Virtualization using a special version of Linux from your any USB drive. You can connect to Internet or use any SSH commands. Most importantly, no big knowledge is needed for following this guide on how to Run Linux on Windows PC Without Virtualization. For this guide to Run Linux on Windows PC Without Virtualization, we are assuming the user has no idea about Linux. Any Windows PC with a good amount of RAM (2 GB will work fine) any USB storage device, like a pen drive, if you do not have pen drive, you can connect any device which has an memory card, use it a USB mass storage, frankly your Android Tablet can serve the purpose to Run Linux on Windows PC Without Virtualization. Do not get confused with the screenshot. Note Windows Desktop is open in background. The emulator is running Linux and within Linux I have kept bash open in background and have loaded our website on Browser. Noteworthy to say, I needed no configuration to be done to connect to Internet, it works itself. The method this ditro of Linux has used is software level emulation. This is special version of Damn Small Linux, a KNOPPIX derivative. This Article Has Been Shared 4052 Times! Android OS on PC or Mac can be tested on VirtualBox or VMWare Fusion using an ISO image of Android OS like Android 4.0 or a ready made virtual appliance. WordPress Virtual Appliance can give you all the Features of localhost Installation of WordPress but without the need of installation of LAMP on your computer. 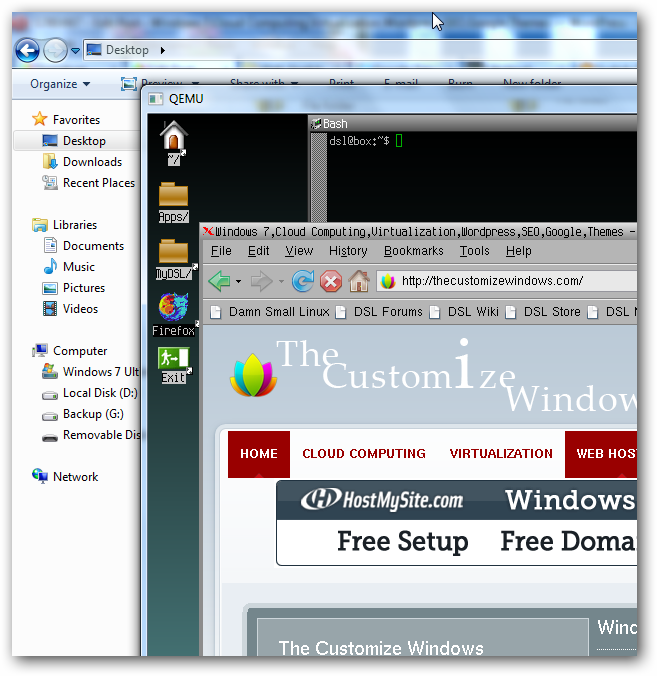 Cite this article as: Abhishek Ghosh, "Run Linux on Windows PC Without Virtualization Support," in The Customize Windows, July 26, 2012, April 19, 2019, https://thecustomizewindows.com/2012/07/run-linux-on-windows-pc-without-virtualization-support/.